An arthropod is an invertebrate animal having an exoskeleton, a segmented body, and jointed appendages. 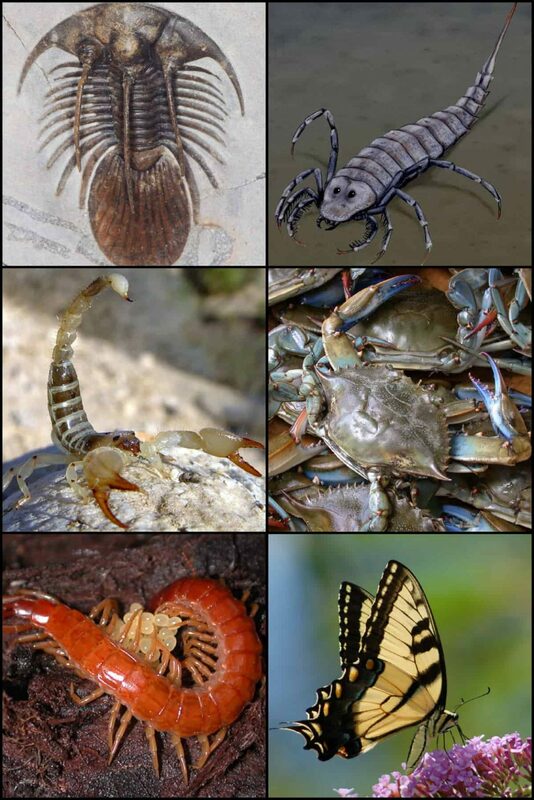 Arthropods are members of the phylum Arthropoda, and include the insects, arachnids, and crustaceans. Arthropods are characterized by their jointed limbs and cuticles, which are mainly made of α-chitin; the cuticles of crustaceans are also biomineralized with calcium carbonate. The rigid cuticle inhibits growth, so arthropods replace it periodically by moulting.